- Publisher The book to give to those taking part in the course. It includes a brief introduction to the course and to Mark's Gospel, summaries of the talks, and studies to work through each week. 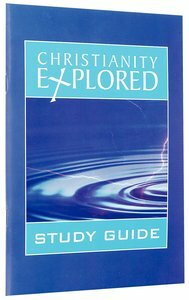 About "Christianity Explored: Study Guide (2003)"
The book to give to those taking part in the course. It includes a brief introduction to the course and to Mark's Gospel, summaries of the talks, and studies to work through each week.